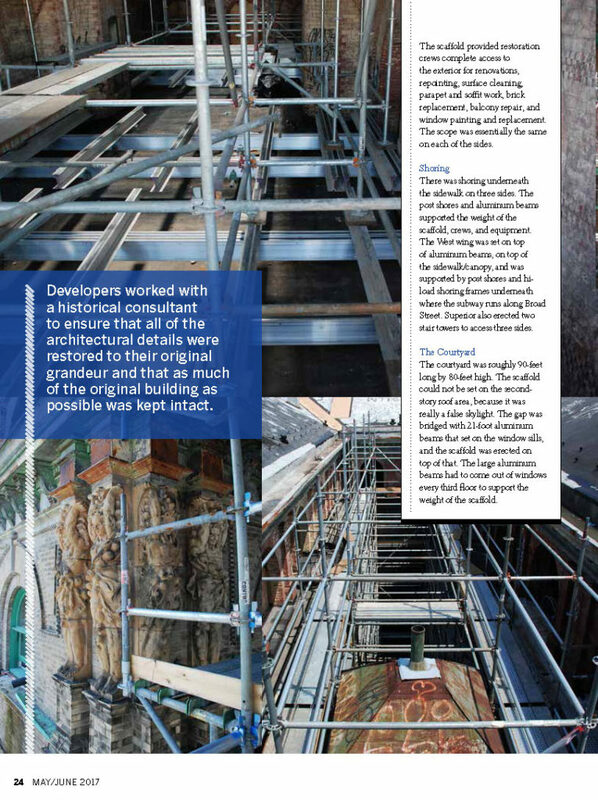 Superior Scaffold is on the cover of the latest issue of Scaffold & Access Magazine! 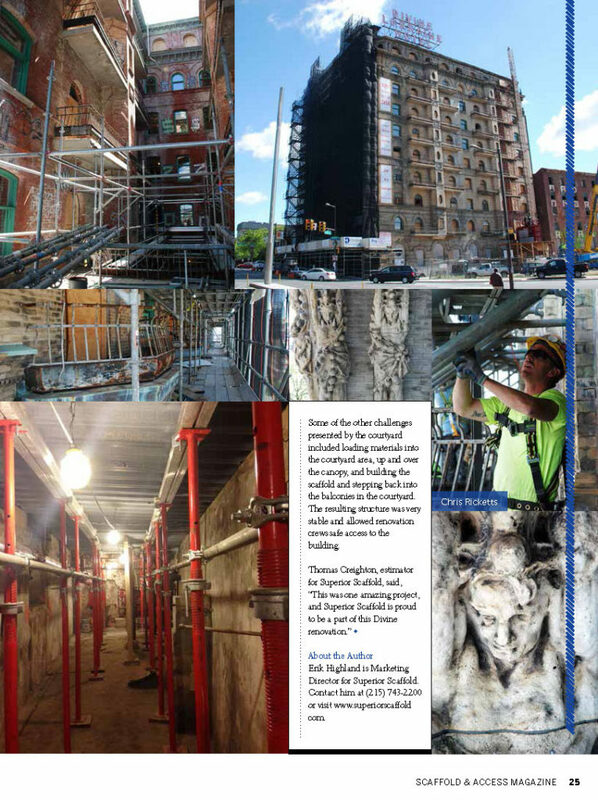 Superior Scaffold is proud to be on the cover of the latest issue of Scaffold & Access Magazine! And there’s a beautiful centerfold in the middle! 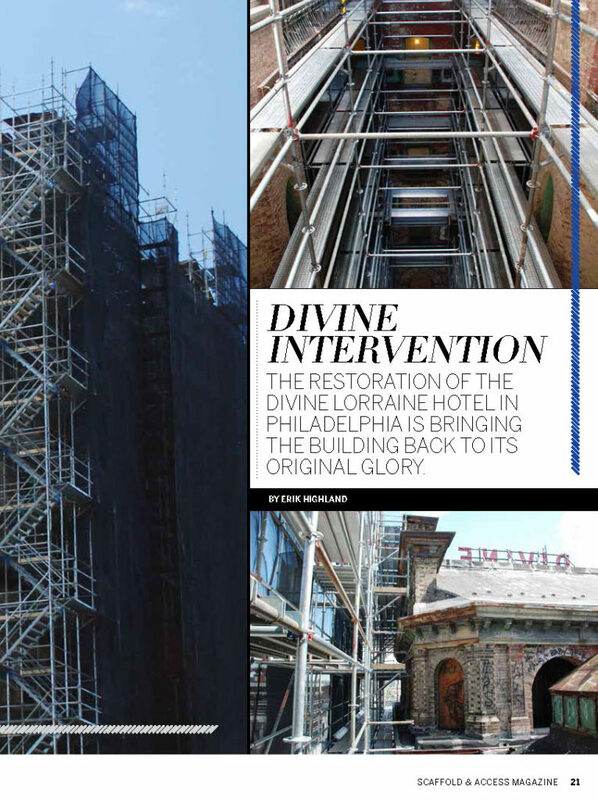 The article is about our scaffold and shoring work on the Divine Lorraine Hotel renovation. 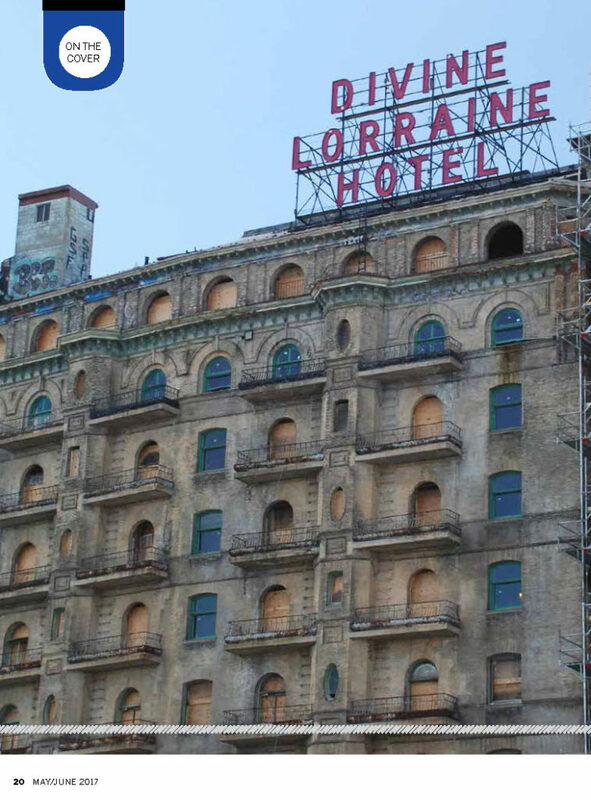 There are some awesome photos showing just how complicated this job was. Click on any of the images to see the article in its full resolution. 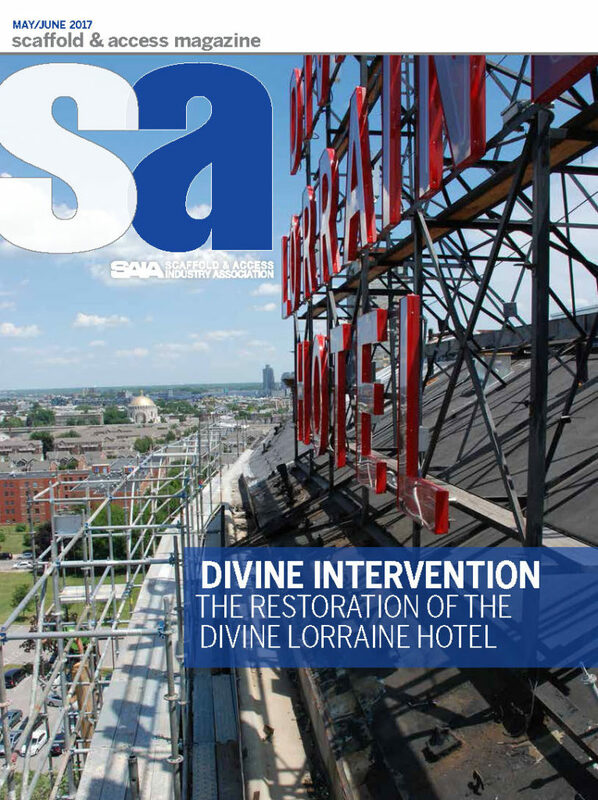 A great big shout out to Miss Cathee and the crew at SA Magazine and the SAIA for the incredible work they do! 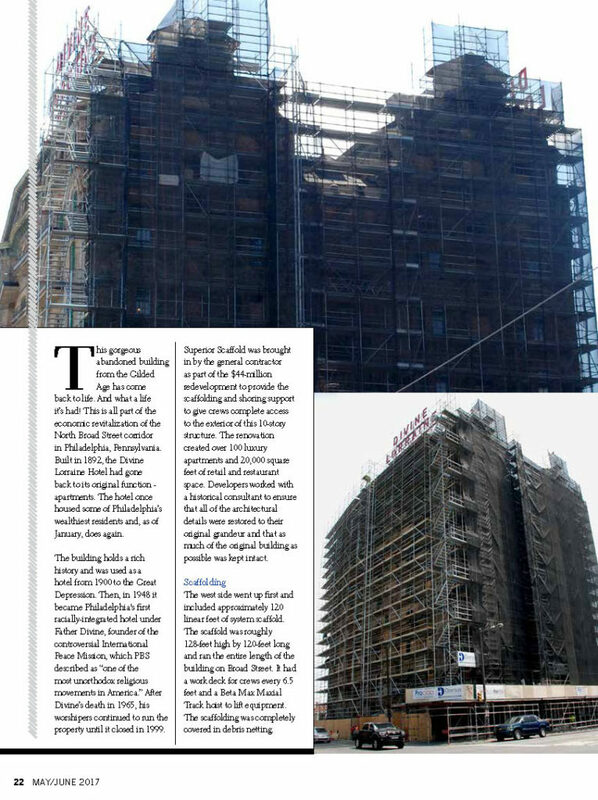 And if you need scaffolding, scaffold, or access on any project call Tom at (215) 743-2200 today! He will take care of you. Or visit www.superiorscaffold.com for more information. Today’s musical interlude is provided by two bands (kind of diametrically opposed points of view for which ever mood you are in). The first is Death Cab for Cutie, and the second is a highly underrated band from Colorado – Firefall. Enjoy. They are both great! This entry was posted on Wednesday, June 14th, 2017 at 1:55 pm	and is filed under News & Updates, Shoring, System. You can follow any responses to this entry through the RSS 2.0 feed. Both comments and pings are currently closed.